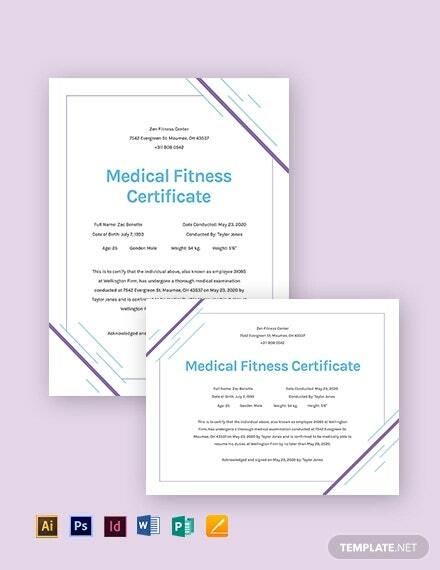 Medical certificates can be used for a variety of reasons, especially by doctors and authorities in medical colleges, and given the range of uses to which they can be put, the demand for sample medical word certificate templates is understandably high. 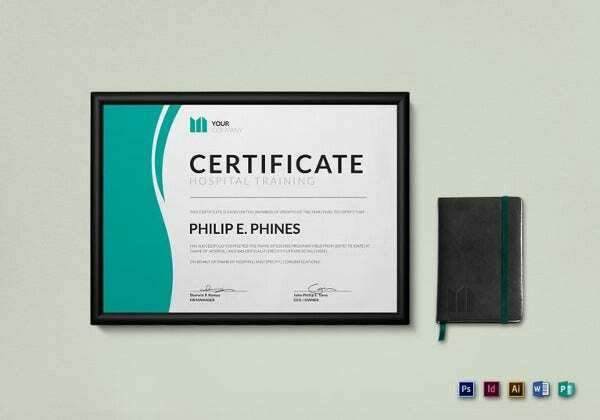 You can also download Free Certificate Templates. 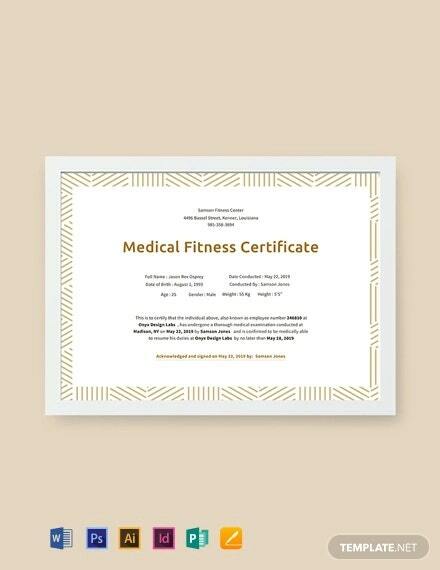 If you are looking for a Medical Certificate Template for proving a student’s fitness or disability in the academic or training institution, this certificate would be handy for you. 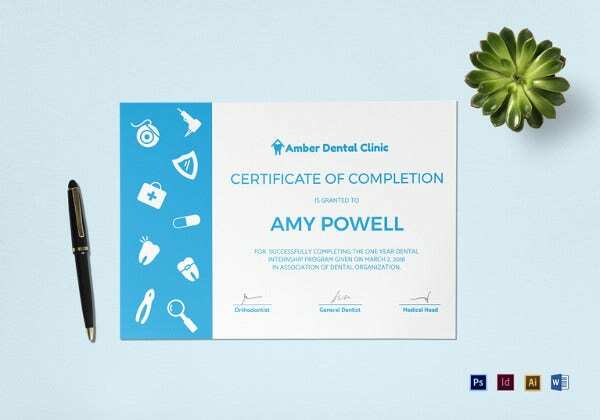 The certificate starts with basic details to be filled by the patient himself followed by sections to state the results of various medical examinations- as observed by the issuing doctor. 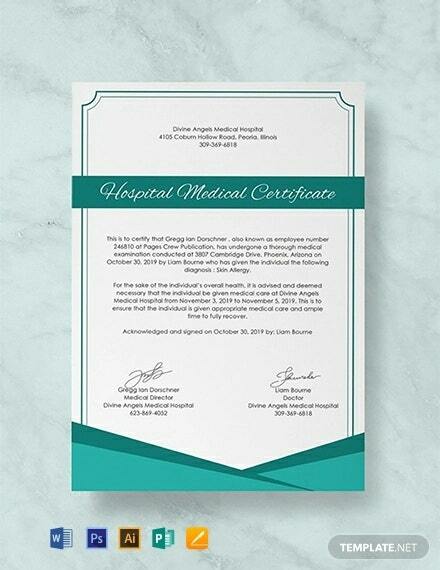 You may also see Free Hospital Medical Certificate Template. 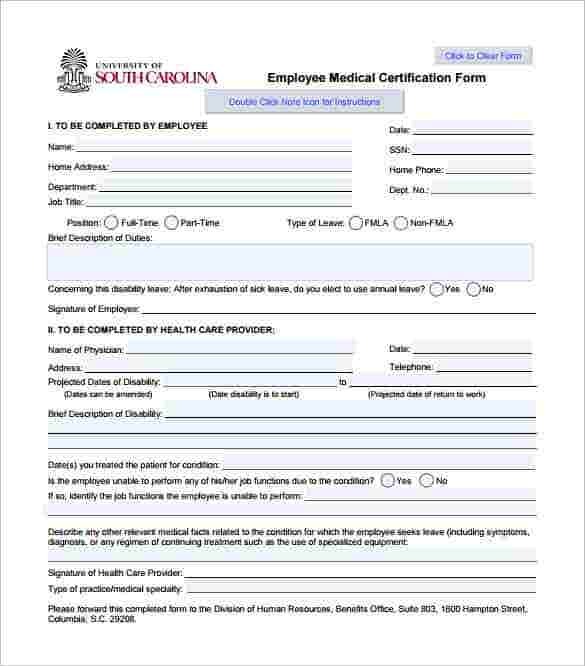 If you are looking for a Medical leave Certificate to certify medical observations about employees working in South Carolina, this medical certification form would work for you. The certification form begins with basic details of the patient & the duties he is responsible for in office- followed by observations and assessments of the doctor. 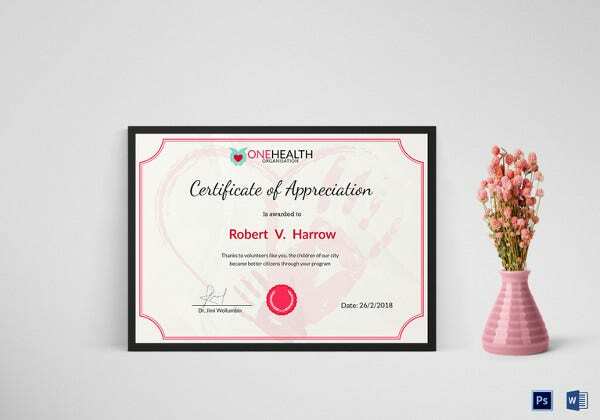 This medical certificate template comes in pink background and contains name of the doctor and patient, illness that the patient is suffering from/ free from and the date as well the signatures. You may also see Blank Certificate Templates. No need to design medical certificate from scratch. 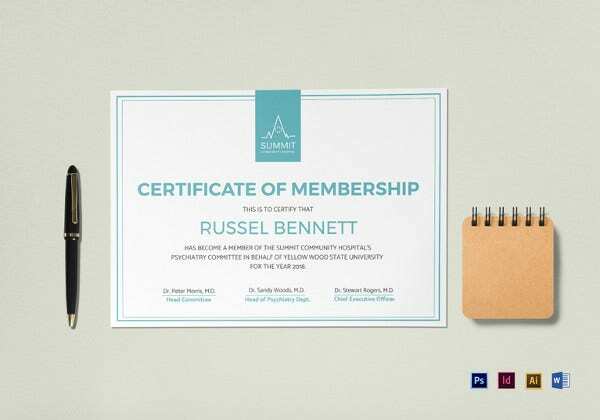 Download medical certificate templates in white background here which contain name of the doctor and patient, illness that the patient is suffering from along with the doctor’s initials. 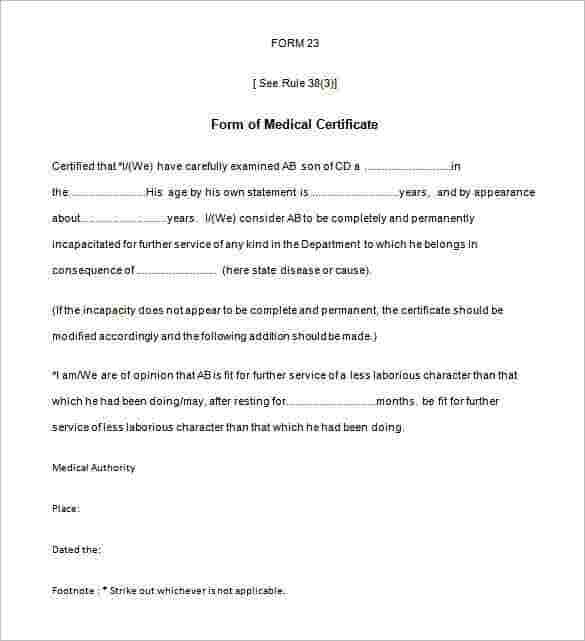 This is simple medical certificate template which states whether a person is suffering from a particular set of diseases which is editable and whether he/she is fit for a certain programme or not. 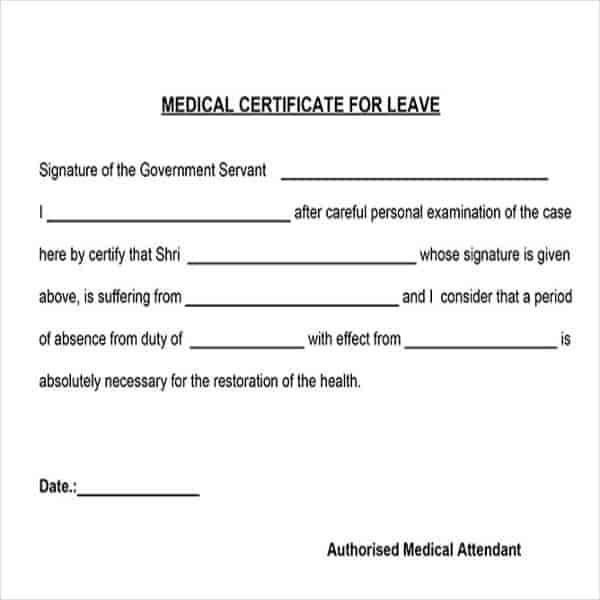 If you are in quest of a doctor’s certificate template for casual leave, this template here would be handy for you. 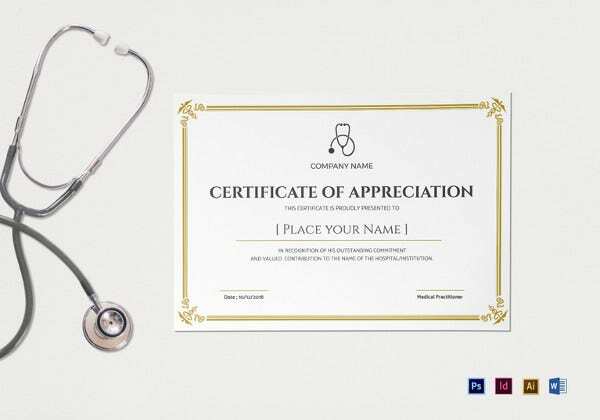 The template comes up with a declaration from the certificate issuing doctor that the government servant is suffering from a certain illness and needs to take rest from his duties for a specific period of time. 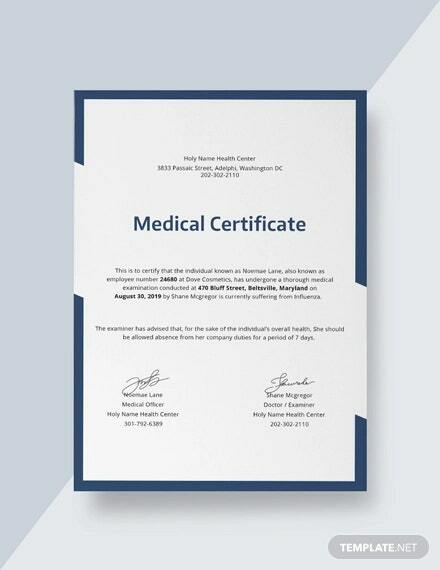 Medical certificate, quite literally, refers to a declaration from a doctor or health care provider attesting to result of a clinical diagnosis of the patient. 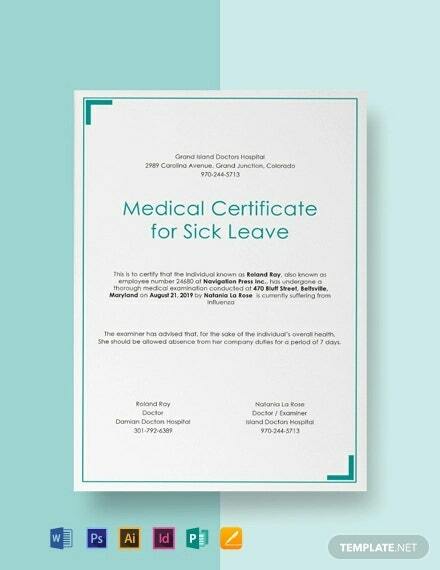 Also known as doctor’s note template, people often use Medical Certificate for Sick Leave. 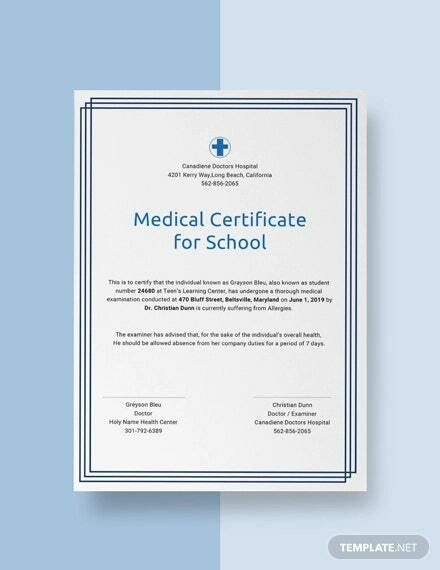 Medical certificates are often used by employees and students. What do you Need Medical Certificate for? 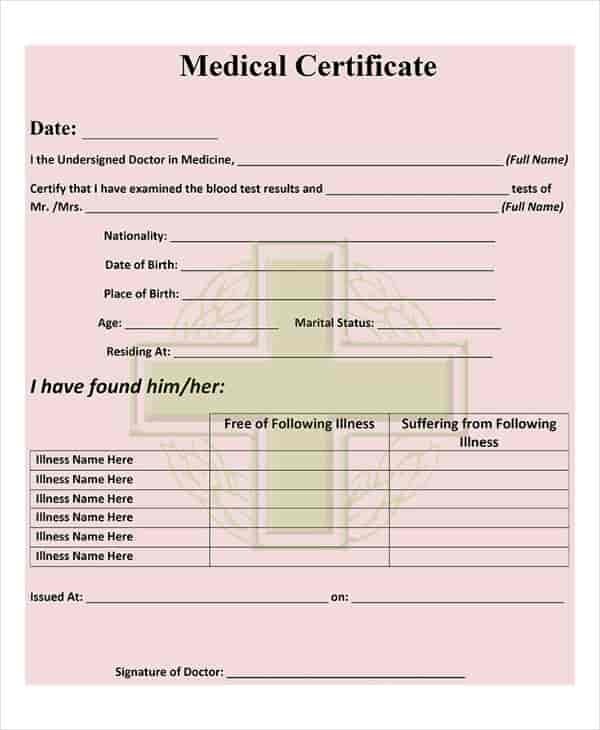 One of the most common purposes of Medical Certificate is validation of a sick leave from office or any academic institution. Added to it, people also take to medical certificates for obtaining different health benefits & related perks from office, for specific tax purposes, to make insurance claims & for some particular legal procedures. 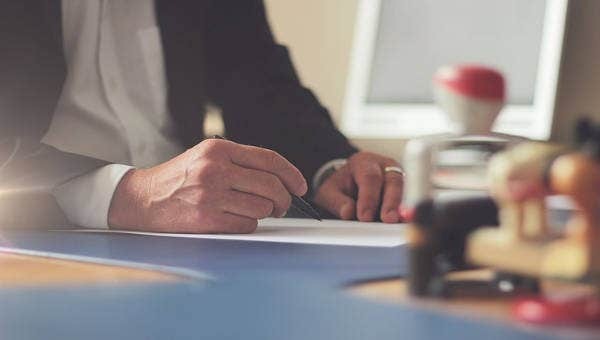 Besides, some of the workplaces are very rigid about certain health condition of the workers and the potential candidates have to provide these clinical certificates to prove their eligibility. You can also see Certificate of Service Templates. 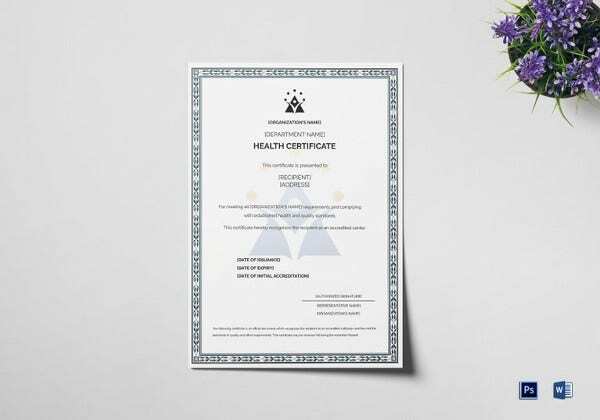 A medical fitness certificate format for new employees usually certify that the concerned person is free from drug addiction, contagious diseases, mental illness & some other health issues- as marked by the specific workplace. 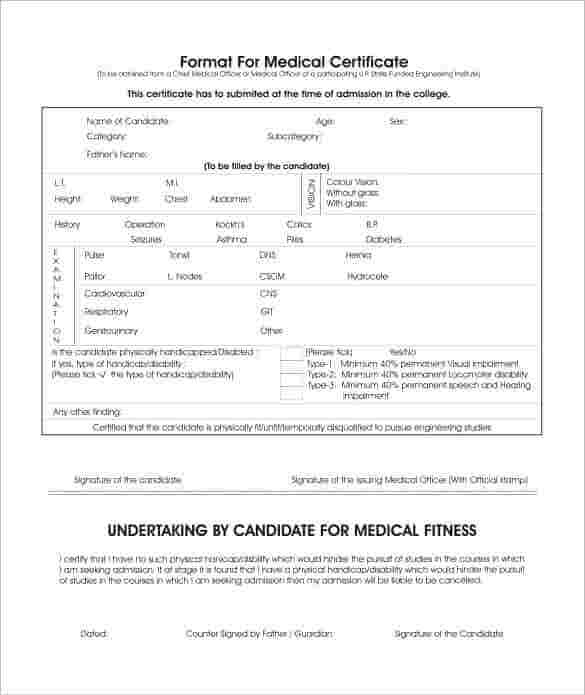 Administrative post holders, armymen, pilots, sportspersons & drivers are some of the professionals who have to submit a physical fitness certificate format as a legal proof of their eligibility in the workplace. The declaration made by the physician in the medical certificate should be based on the doctor’s own observation & assessment of the patient. 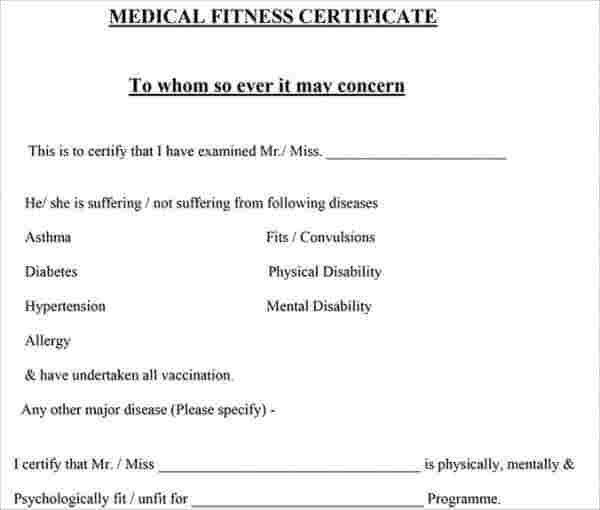 The Medical Certificate for leave or for fitness should be presented in legible text & there must be no abbreviation of medical jargon so that it can be comprehended by a non-clinical person as well. The physician issuing medical certificate should respect the patient’s “rights to confidentiality”. A Medical Certificate format for sick leave for employees could be issued even after the concerned patient has already taken his sick leave – however, it must include date of medical appointment & the period for which the employee would be unavailable for office work. 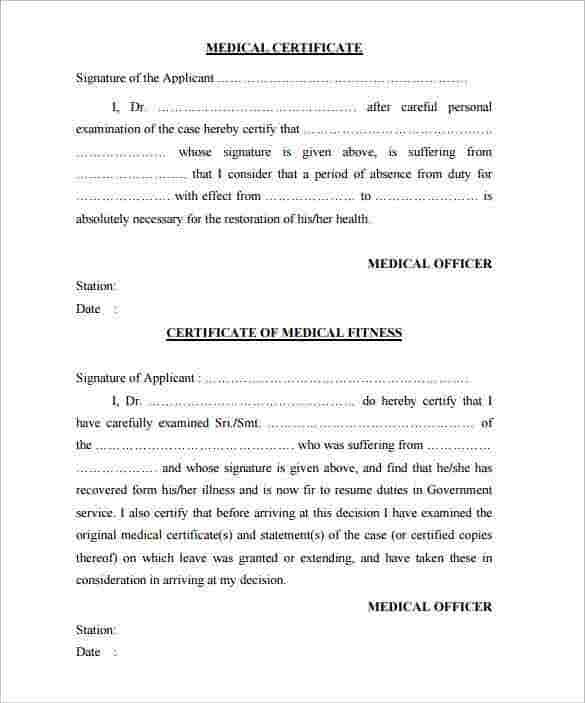 The doctors certificate for leave or fitness issued by the physician must not be based on just details of the patient and the doctor has make observations on the certificate based on his diagnosis only. 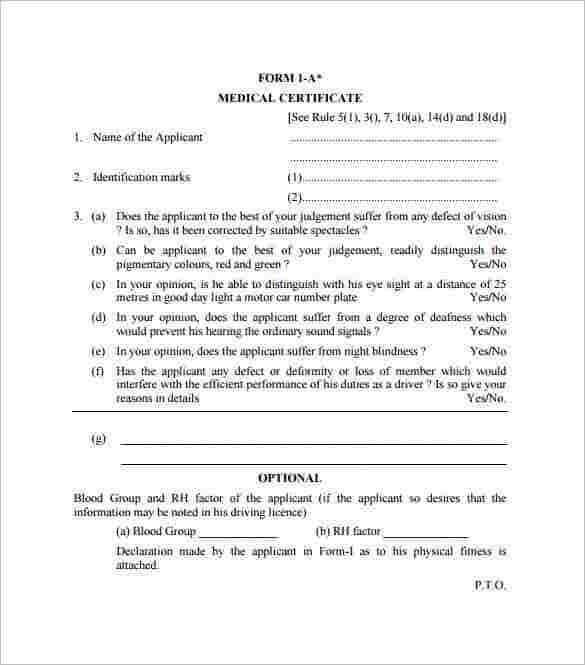 The physician issuing the certificate cannot divulge any additional details of the patient’s medical condition than what is provided by the certificate to the employer- unless the patient has given consent to it. The doctor must not issue sample Medical Certificate and it’s considered as a activity. 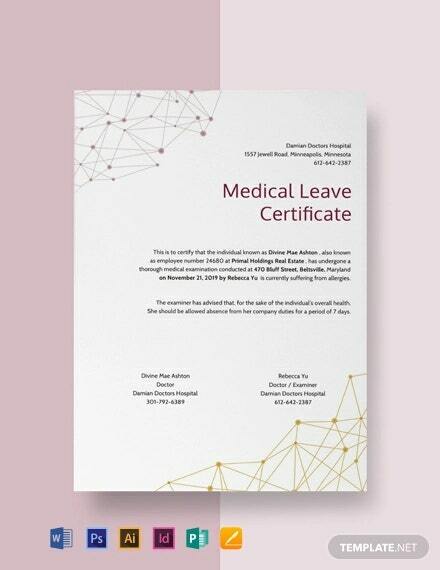 If you need ideas on a standard Medical Certificate Format, we at template.net are ready to help you with our medical certificate templates. 1. 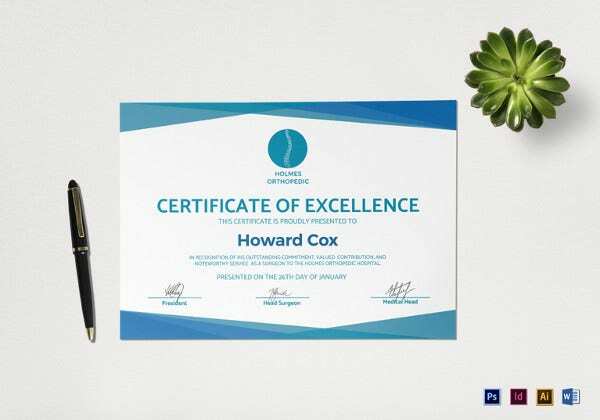 Best Medical template certificates usually contain a record of major diseases and treatment, and any good templates for certificates will have fields to enter the details of such. 2. 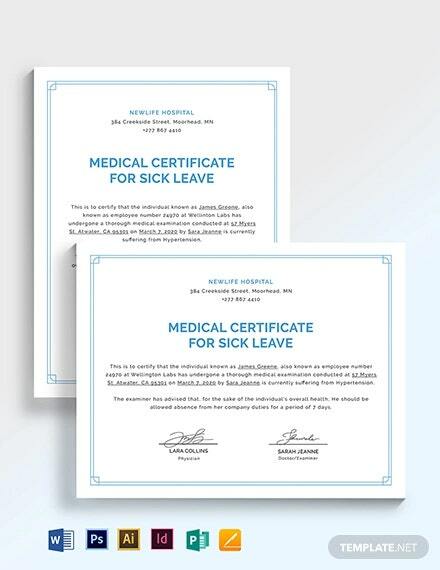 Free Medical certificates are often handed in as proof of absences by employees and students, when claiming sick leave. Therefore, the doctor and institution’s details should be present, and should be verifiable. 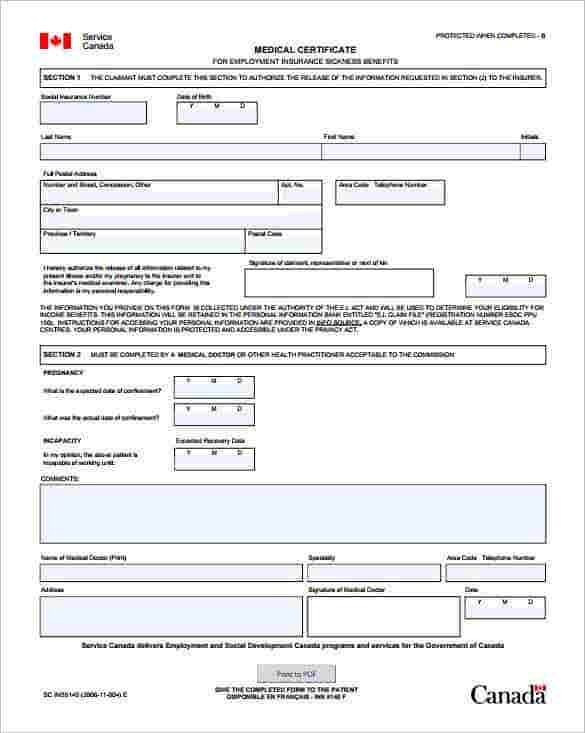 These templates work on ensuring that these are clearly stated on the certificate. 3. Some of these medical certificate samples also include a basic treatment plan or else have tables of information, and the certificate templates can arrange to present these in a neat and ordered manner. 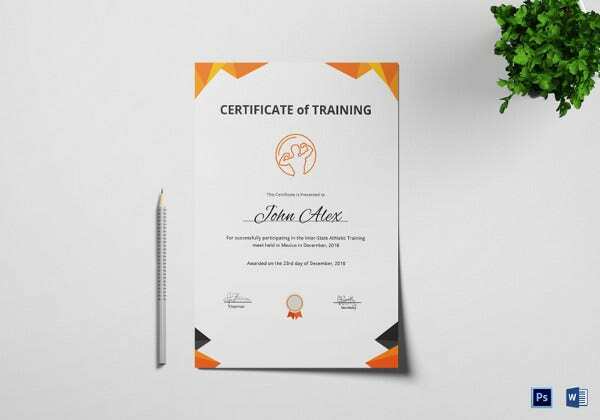 University and other training authorities will also issue certificates to trainees and students upon the completion of programmes or courses. 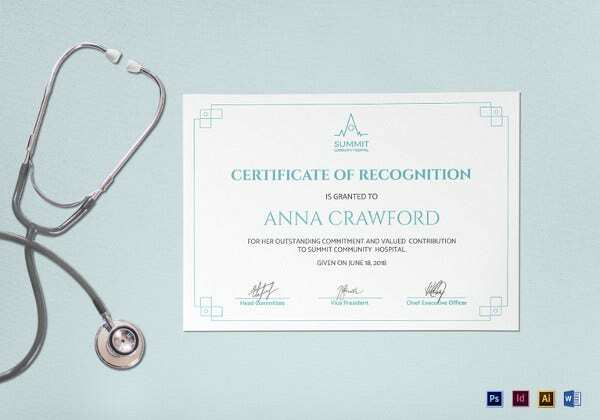 Sometimes, merit certificates for medical students or support staff trainees can also be generated with these templates, which aid the student in obtaining jobs and offering services in hospitals and clinics.